Let’s start off by saying that we hope everybody had a great Christmas! Looking back at 2018 puts a huge smile on our faces (besides having to survive during the incredibly harsh bear market). As our current roadmap shows we have made an incredible amount of progress on the Viacoin development such as General Bytes ATM support, Trezor support, BTCpay support, several Viacoin Lightning Network implementations, several Viacoin Core and Vialectrum updates, releasing our user friendly Viacoin Copay wallets and much more! We are planning to continue this line of development in 2019 and release even more amazing things. We hope you enjoy the last development update of 2018 and a happy new year! Viacoin recently got added to Delta Direct. 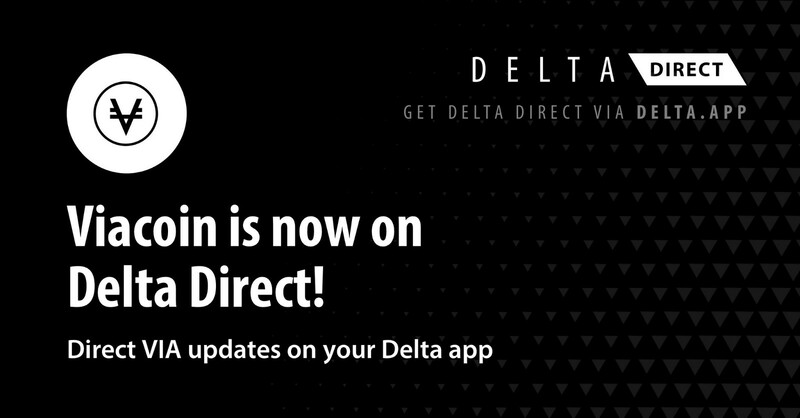 which is a service seamlessly integrated into the Delta app. Delta Direct delivers trustworthy, transparent & leading edge cryptocurrency information to the users of Delta. Delta is currently a mobile-first product with the iOS & Android application boasting over 1 million total reachable users. Over the past few months the Viacoin development has made a lot of progress on the things that are currently being developed like Viacoin Core 0.16, NViacoin, ViacoinJ, LND etc. so we have updated our roadmap by changing its progress. We have added even more items to the roadmap like c-lightning, Viacoin Eclair and Viacoin Eclair Android. 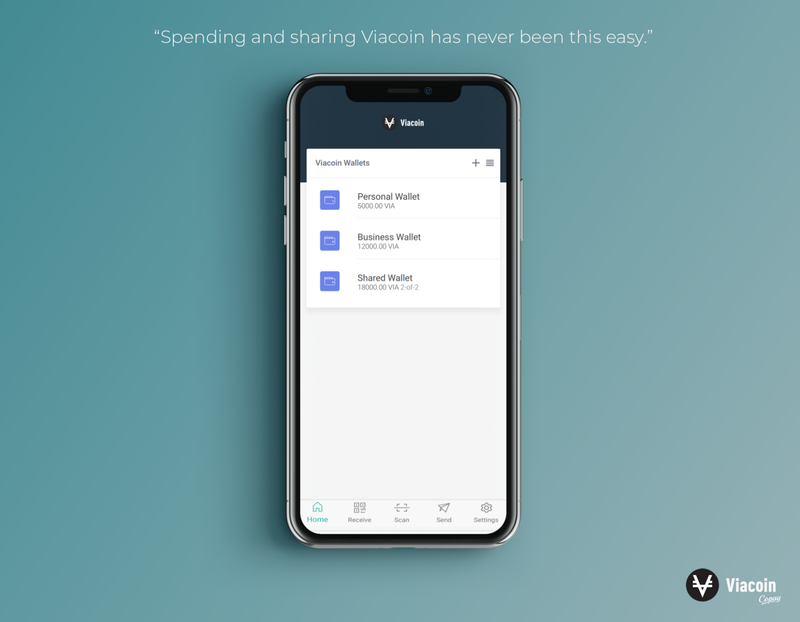 Visit https://viacoin.org and see the progress the Viacoin development team has made lately. Recently we became aware of a reported Copay Github issue, claiming a dependency attack that could steal the private keys from Copay wallets. As soon as we heard about the malicious code our developers individually ran several tests. Our developers came to the unanimous conclusion that Viacoin Copay was NOT affected by the malicious attack, meaning that your private keys (and funds) are safe. 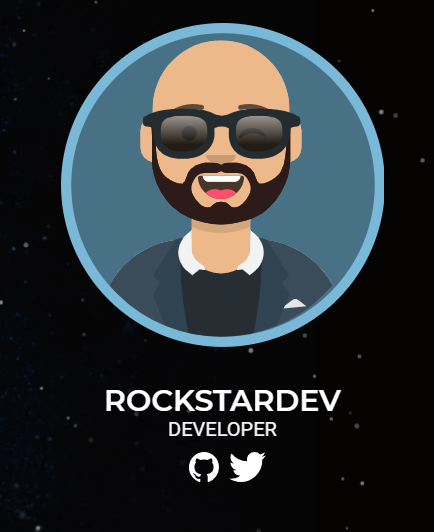 We were thrilled to announce that RockstarDev joined the Viacoin development team. RockstarDev previously joined Nicholas Dorrier, a Bitcoin Core developer, in the development of BTCpay. While eager to bring the Viacoin development to greater heights, Rockstardev will also continue his BTCpay development. Bitcoin Superstore offers a great range of giftcards from Wallmart, Nike, Starbucks, Amazon, Visa and many more. Beside offering giftcards you can also use their website to purchase goods from over 200,000 retailers! Peer2KRD offers a FREE MasterCard debit card that can be topped up using several cryptocurrencies, including Viacoin. You can load the card with up to €2,500 per year without ID verification or up to €15,000 (without an annual limit) with ID verification. Cryptocurrencyposters is committed to providing fine, crypto-themed artwork. They specialize in crypto posters but also offer backpacks, socks, pillows, and more. They believe that cryptocurrency is one of the most important technological breakthroughs in human history. Considering this impact, they want to help spread the word by offering cryptocurrency merchandise that allows fans to showcase the coins and projects that they support. Paulman Acre is more than just a line of delicious hot sauces. It is a small urban farm in one of the most densely populated areas of the US. It is a commitment to hand-crafted, small-batch products. It is an ongoing experiment in sustainable agriculture. It’s a VW Vanagon loaded with product rolling into the neighborhood street fair. It is part Appalachia, part SoCal and part psychedelic spaghetti-western. Paulman Acre is a way of life! 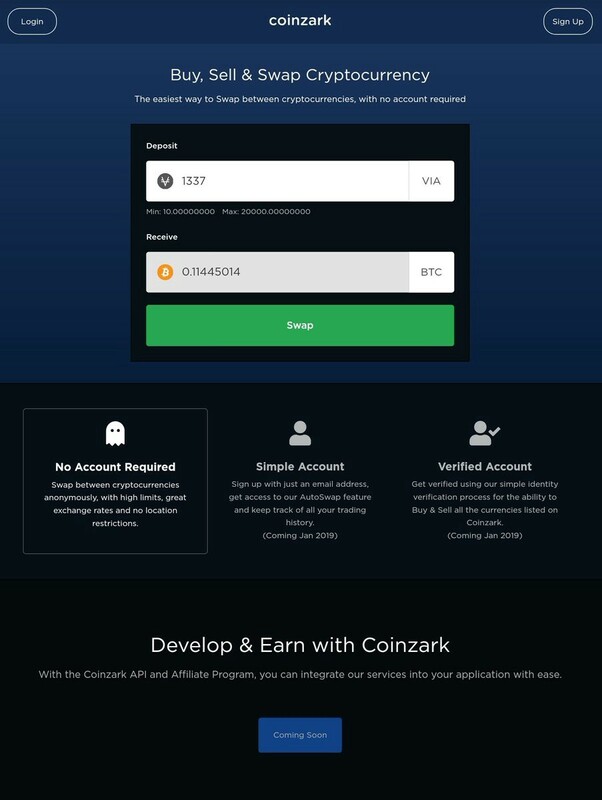 Recently Viacoin was added to Coinzark, a London based exchange service that allows you to swap coins without KYC or registration. You can now swap Viacoin with Bitcoin, Litecoin, Ripple, Monero, Dash, Zcash, Zcoin, Dogecoin, DigiByte, Vertcoin, Monacoin, Groestlcoin, Feathercoin, Reddcoin, Blackcoin, Peercoin and Ravencoin. 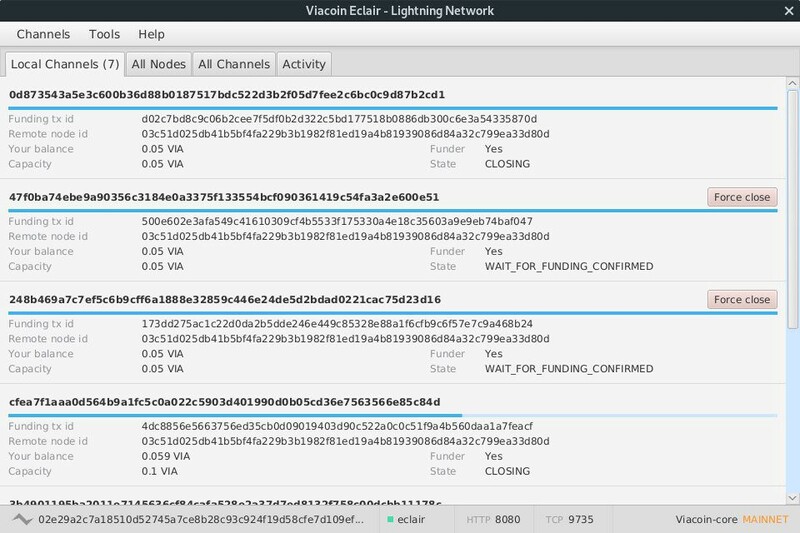 Over the past months we have been working on Viacoin Eclair, one of our implementations for the Viacoin Lightning Network. The Viacoin Lightning Network features instant transactions and near-zero fees. Waiting to open or close a channel won’t take long due to Viacoin’s 24 second block time, highly increasing the user friendliness of using the Viacoin Lightning Network. We have been testing the current Viacoin Eclair build and all tests were succesful so far. You can check our progress on Github or on www.viacoin.org. 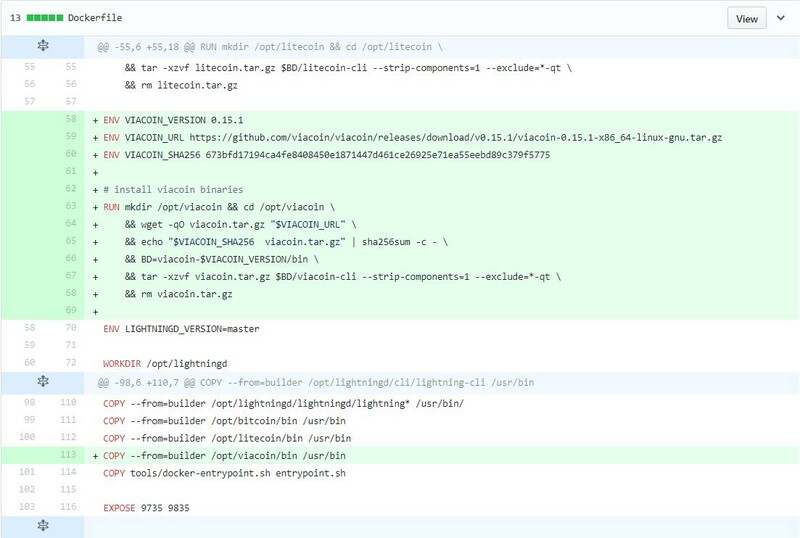 The Viacoin development team is very close to finishing c-lightning, an alternative Viacoin Lightning Network implementation written in C. C-lightning is easier to compile, compared to LND, and will allows us to create wallets based on c-lightning, like Eclair. Over the past months Chainfailure has spent a lot of time on Viacoin Copay. Now that the final version has been released, besides future performance updates, he will dedicate more time towards the development of Viacoin RSK. 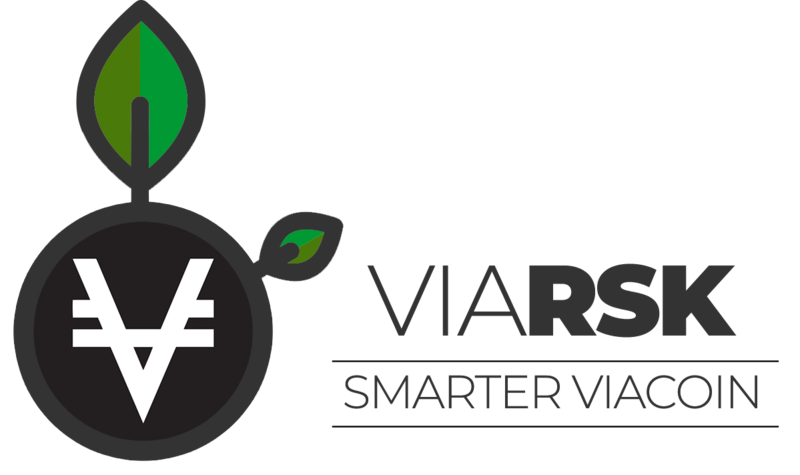 Viacoin RSK is a smart contract platform secured by the Viacoin Network. With Viacoin RSK you will be able to create your own smart contracts like micro-lending, asset tokenization, crowdfunding, escrow services and many more. Viacoin RSK will even be compatible with Ethereum smart contracts! More information about Viacoin RSK will be shared soon! We are close to launching the VIApay website. We have made some adjustments to the website design and decided to add Bitcoin support as well. Now merchants will be able to accept Bitcoin and Viacoin instead of just Viacoin. VIAPay is an Open Source payment processor, written in C#, that conforms to the invoice API of Bitpay. This allows easy migration of your code base to your own, self-hosted payment processor. VIApay is P2P, so no middle man is involved. This means increased privacy and no processing fees. Advertisement on an Augmented Reality platform (timed exclusive partnership). Viacoin Copay product videos ✔. Polymerbit Cold Storage wallets (high quantity and very affordable). We have checked off two of the items and will continue to deliver more great news in the upcoming months. We will release the Viacoin Ambassador program next month. The idea behind the Ambassador program is that community members will be able to become an official Viacoin Ambassador and will help spreading the word about Viacoin in their own country. Our aim is to have 1–2 Viacoin Ambassadors per country. You will be able to express your interest in an Ambassador position very soon! 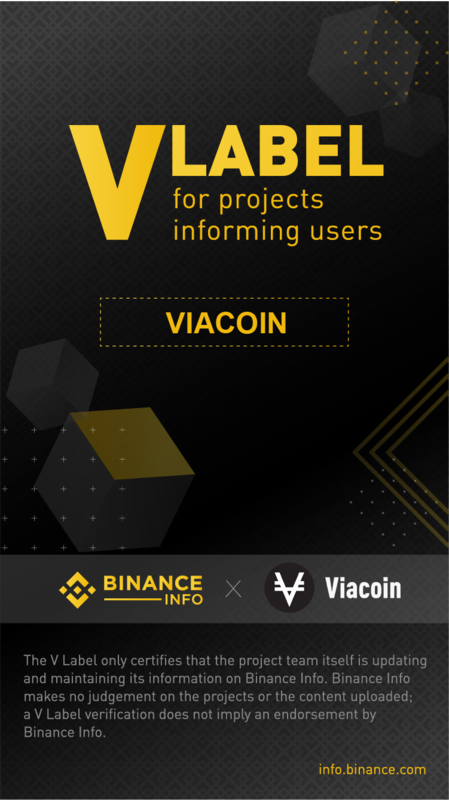 Do you want to help spread the word about Viacoin? Create a Twitter account and join our special Telegram group. We’d love to hear your ideas about sharing Viacoin with the world! Please feel free to leave us your feedback as we always welcome it!